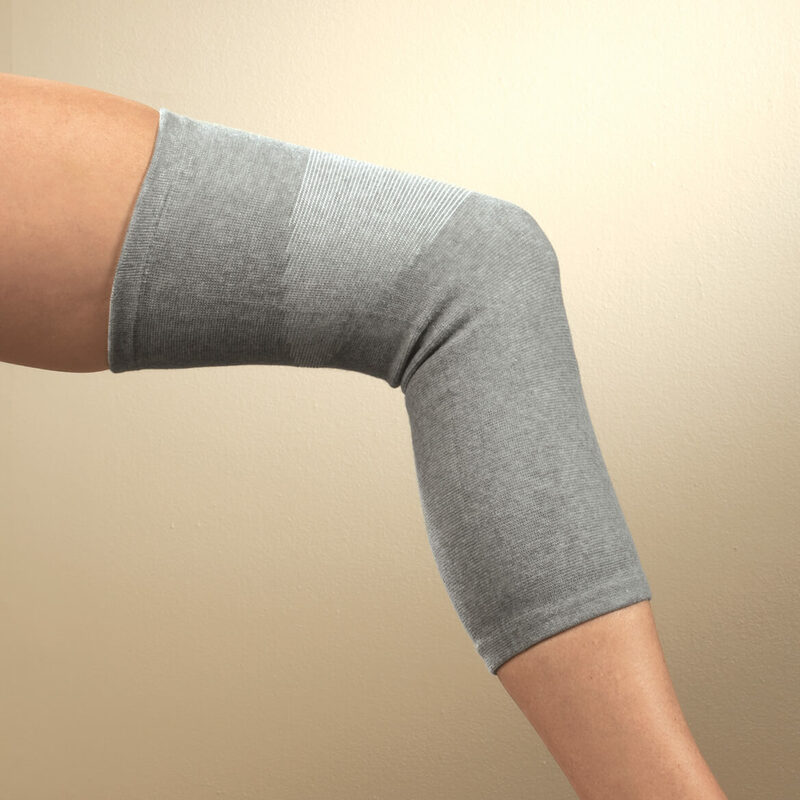 Circulation-boosting, extra-long knee sleeve surrounds your knee with light compression that won't hinder mobility. Unique knee brace supports above and below the knee for stay-in-place stability. As graduated light compression helps warm muscles, joints, and tissues, it helps naturally relieve pain and encourage healing. Slim profile provides all-day comfort, even under clothing. Accommodates a full range of motion and is easy to put on and take off. Sold individually to fit either right or left knee. Measure above the kneecap, and choose from 4 sizes to fit most men or women: S (11–14"), M (14–17"), L (17–19"), XL (20–23"). 45% spandex/45% cotton/10% latex silk. I had ordered one a while ago and I love it! Wanted one for the other leg, it reallly helps. I think my legs will love these! Have swollen knee. Hope this helps. This is the second Extra Long Knee Sleeve that I have bought this month. The first one I have been using since the beginning of March and it has been a success. I use it for pain in my left knee after I sprained it back in February. My knee feels more secure and gives me warmth. Until I may be able to see an orthopedist within 2 or 3 months, I guess this is my best bet. My husband has knee problems. Wanted to try these to use knee sleeves as buffers to keep knees comfortable in air condtioning summer weather as well as winter time. what do you mean to measure above the knee ?from the knee cap up or down ?? BEST ANSWER: Thank you for your question. You will want to measure around leg above your knee cap We hope this information will be of help to you. BEST ANSWER: Thank you for your question. You want to measure above the kneecap. We hope this information will be of help to you. BEST ANSWER: Thank you for your question. The knee sleeve is made of 45% spandex/45% cotton/10% latex silk. We hope this information will be of help to you.